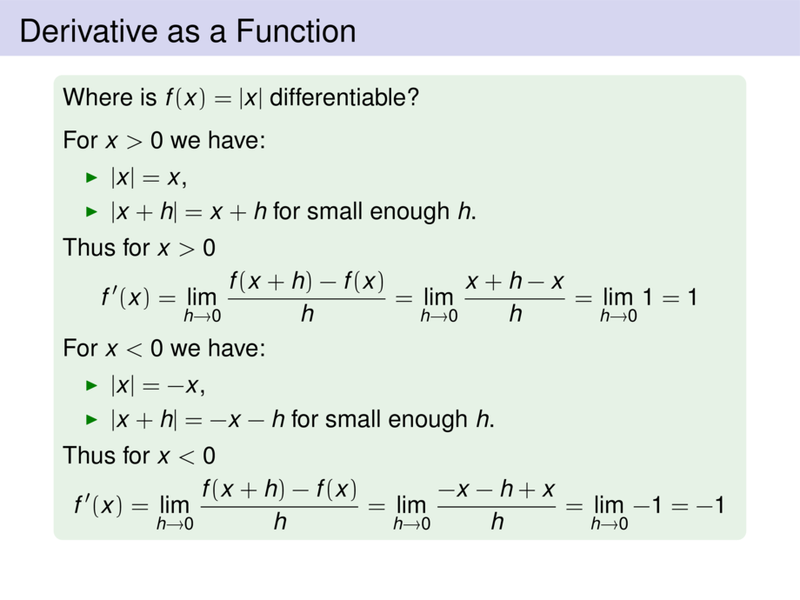 Where is $f(x) = |x|$ differentiable? \item $|x+h| = x+h$ for small enough $h$. \item $|x+h| = -x-h$ for small enough $h$.